A 1984 graduate of the University of Pennsylvania School of Dental Medicine, Dr. Dunoff completed a General Practice Residency Program at the Virtua Health System (West Jersey Health) in Camden, New Jersey in 1985. 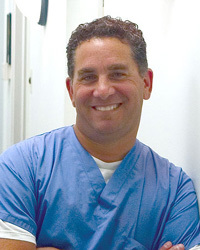 Licensed to practice Dentistry in the State of New Jersey and the Commonwealth of Pennsylvania, he pursued his initial practice location as a start-up venture in Winslow Township, New Jersey. Four years later, he acquired a second practice in Pleasantville, New Jersey which was later sold. The initial practice was relocated to Berlin, New Jersey in a commercial shopping center with tremendous traffic visibility. Currently, he has acquired a practice in Swedesboro, New Jersey. Dr. Dunoff is a member of many professional organizations including the American Dental Association, New Jersey Dental Association, American Society for Geriatric Dentistry Board of Directors, Special Care Dentistry Association, and the Academy of General Dentistry. He has hospital affiliations at Our Lady of Lourdes Medical Center and Virtua Health System. He has a clinical appointment as Associate Professor at the University of Pennsylvania School of Dental Medicine where he teaches restorative dentistry weekly. He has been a consultant to the insurance industry with Bravo-ElderHealth Plans and Prizm Solutions and currently is dental consultant to many long-term care nursing facilities. Concurrently with the start-up of his private practice Dr. Dunoff founded a mobile dental service that provides on-site care to many skilled nursing facilities. His experience with the development of a provider network for the staffing of this mobile service has given Dr. Dunoff a tremendous ability to manage multiple practice locations with multiple providers. He is also dental director for CFG Health Systems Correctional Care Division. He has been able to assist practices with staff recruitment as well as identify new and emerging markets for practice acquisitions and consolidation.